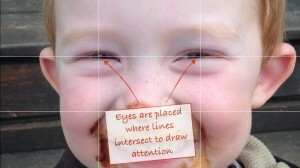 There is a method or ratio we can use to do this and it is known as the “Rule of Thirds”. There is nothing new about this and designer of many persuasions including artists, photographers and videographers use the rule in their projects. 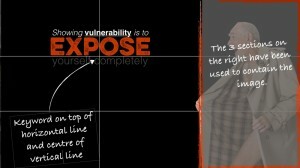 in this post I explain slide design using the rule of thirds. The basic concept is to place elements in a certain position on the slide in order for the eyes somewhere to move. This is in contrast to placing an element in the centre of the screen which in many cases would be considered static with no where for the eyes to move. We are also placing elements on the slide where it is believed our eyes naturally want to focus when looking at an image. The first thing we need to do is create some guides on the screen to assist us in placing the elements according. This is done by placing 2 lines horizontally and 2 lines vertically to create 9 equal sections on the screen. On PowerPoint guides can be permanently set up within the software itself. Gavin McMahon from has done the maths on this and the full explanation can be found on his blog here……. Here at impact presentations we use a simple grid that can be placed on the slide as a guide and to help maintain consistency throughout the entire deck. Once we have our guides in place we can now place our elements within the areas set up, or to attract the most interest place elements on the lines themselves. To attract the most interest the element or certain parts of it can be placed where the lines intersect or the crosshairs as I call them. Believe it or not these are called Power Points and are believed to be where our eyes naturally wants to focus when looking at an image. There are many variations on how the rule can be used and we should not be restricted by it. At the end of the day is is just a guide. That being said it is a great guide and will not only attract interest but can also create some consistency when designing our slides. Below are some examples of how the guides can be used when designing slides for our presentation. 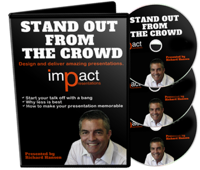 Richard is a professional MC, presentation designer and coach and founder of Impact Presentations. 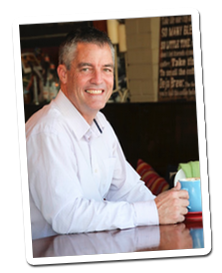 He is happily married with 3 children and currently lives on the Sunshine Coast Hinterland in Queensland, Australia. Loves trekking, camping, coffee and generally hanging out with friends and trying new experiences. Thanks Richard. 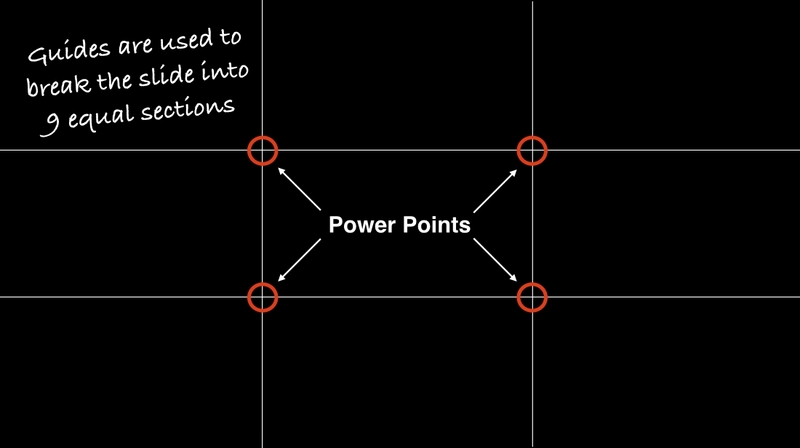 I was going to ask how you move the slide elements with the grid on top, because my version of PPT doesn’t work like that, but then I noticed you’re using Keynote! It’s good that you showed diverse examples, and that you said it’s not a rule to use at all costs. You might be interested in this slide makeover I did. I’d be interested to hear your views, and by all means leave a link back to your own blog if you’d like to. Yes I was using Keynote in that video. I do however design a lot in PowerPoint as that is what a majority of my clients use. 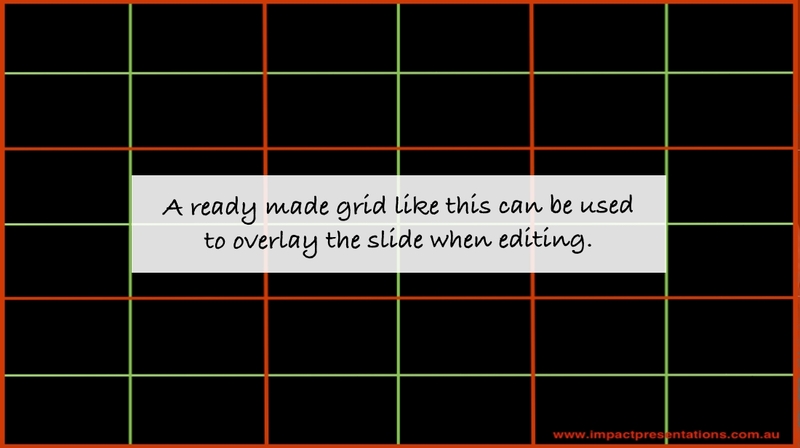 To use the grid in PowerPoint I bring the elements to the front and increase the opacity so I can see the grid until I have finished editing.